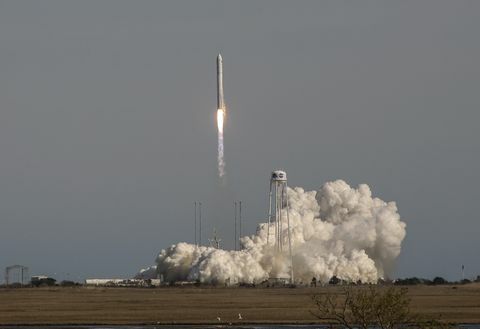 Dulles, Va. – Aug. 2, 2018 – Northrop Grumman Corporation (NYSE: NOC) announced that NASA’s Transiting Exoplanet Survey Satellite (TESS) has successfully reached its desired stable orbit and begun science operations. The spacecraft was built and operated by Northrop Grumman. 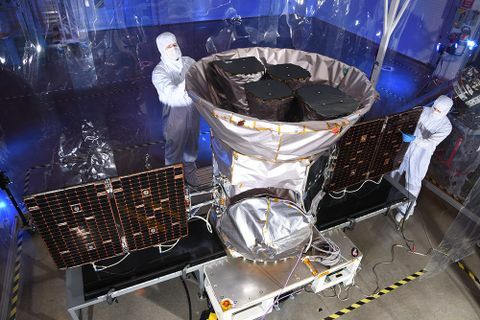 The TESS spacecraft instrument is the set of four wide-field cameras designed and built by MIT and MIT Lincoln Lab. The principal goal of the TESS mission is to use its four wide-field cameras to detect planets around bright host stars in the solar neighborhood so that detailed characterizations of the planets and their atmospheres can be performed through follow-up observations from telescopes on Earth and in space. As the first-ever satellite to perform an exoplanet survey of nearly the entire sky, TESS will identify planets ranging from Earth-sized to Jupiter-sized, orbiting a wide range of stellar types at various orbital distances. NASA’s Transiting Exoplanet Survey Satellite (TESS) was designed, manufactured and tested by Northrop Grumman in the company’s Dulles, Virginia, satellite manufacturing facility. The company is also responsible for handling mission operations for the observatory. The TESS spacecraft was designed, manufactured and tested by Northrop Grumman at the company’s satellite manufacturing facility in Dulles. The company is also responsible for handling mission operations for the observatory. 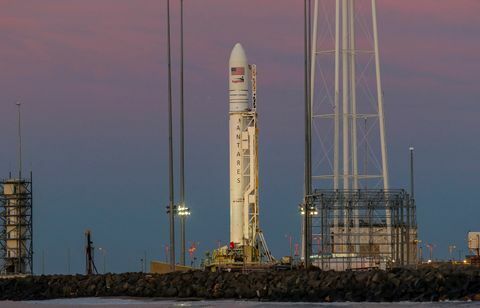 TESS was launched April 18, 2018, from Cape Canaveral Air Force Station, Florida. After launch, the observatory went through a series of tests and began preparation for a series of in-space maneuvers, including a lunar gravity assist, to reach its targeted highly-elliptical orbit. This lunar flyby was executed May 17 and the final period-adjustment maneuver was performed May 29. The four TESS cameras developed by MIT project partners are integrated with Northrop Grumman’s LEOStar-2™ bus, a flight-proven and flexible satellite platform that accommodates a wide variety of missions. The company has several other satellites in production for upcoming NASA missions including the Earth science ICESat-2 and Landsat-9 satellites and the JPSS-2, -3 and -4 weather spacecraft which use the larger LEOStar-3™ bus, as well as the Ionospheric Connection Explorer (ICON) LEOStar-2 satellite to be launched later this year. TESS is a NASA astrophysics explorer mission led by the Massachusetts Institute of Technology (MIT) in Cambridge, Massachusetts, and managed by NASA’s Goddard Space Flight Center in Greenbelt, Maryland. Dr. George Ricker of MIT’s Kavli Institute for Astrophysics and Space Research serves as principal investigator for the mission. Additional partners besides Northrop Grumman include NASA’s Ames Research Center in California’s Silicon Valley; the Harvard-Smithsonian Center for Astrophysics in Cambridge, Massachusetts; MIT’s Lincoln Laboratory in Lexington, Massachusetts; and the Space Telescope Science Institute in Baltimore, Maryland. More than a dozen universities, research institutes and observatories worldwide are participants in the mission.